Our away game at Notts County has been moved to a 2.30pm kick-off on Sunday 11 October and will be screened live on Sky Sports. 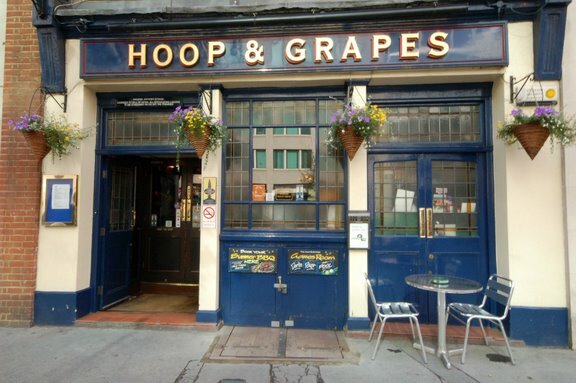 If you aren’t going to Nottingham, why not join us and watch it at the Hoop and Grapes along with fellow Argyle fans. If you haven’t been before, there is always a good crowd and a great atmosphere at the Hoop for Argyle games and this time we will ramp up the excitement with a raffle of Argyle memorabilia. And if that isn’t enough, if you are a CAMRA member you get 50p off a pint. The pub will open at 12 noon for coverage of the Stevenage v Exeter game (also on Sky Sports KO 12.30) and Exeter fans are also very welcome to join us for this unique Westcountry double.